As I was working this afternoon, I stumbled across a Twitter account that was titled "What if I am Right?". I immediately thought about how this critical question was. How critical it is that we are listening to those who are forecasting the future. How important it is that we are listening to what our students need and what they are doing outside of school. How important it is to be cognizant of the ever changing realm technology brings into our lives. What if I am right? I am not emphasizing this question to puff out my chest and say I told you so, because I am in no means the only voice for change. George Couros, Erin Klein, Steven Anderson, and Alice Keeler are some of the early adopters and some who have some very powerful influence. This influence is not doing enough. It is not creating the urge for change that is truly needed. It is not changing education like it needs to be. If you are a parent, ask your child what part of school they LOVED today? Ask them what they remember from the content? Ask them how that learning can apply to real life? You are most likely going to get no answer. We have come so far to disconnect learning from what actually happens, that it has almost become irrelevant. If you are not a parent, reflect on those questions. How much of your teaching is disconnected for you? How much of what you teach ever day are things that you do not do everyday? 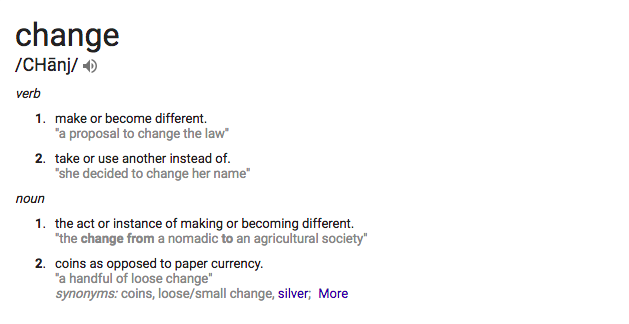 How can you change that? Kids today are leaving our schools as passive, vending machine robots. They think that there is only one answer for any problem and that there is only one way to get there. The path they take to get there is through a practice and preach method where silence and good behavior are rewarded. They are praised for high test scores when the most compeditive companies openly search out employees who do not have a 4.0 due to their ability to live a balanced life. I am sick and tired of seeing these students be treated this way and get the creativity and enjoyment of school beaten out of them. BE BRAVE AND BE WILLING TO INTERUPT YOUR TEACHING.